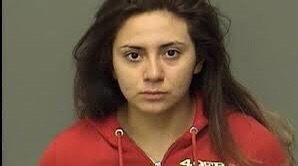 An 18-year-old woman allegedly livestreamed the crash that left her 14-year-old sister dead and another passenger seriously injured in Merced County. Obdulia Sanchez, fully engaged with a mounted camera on the car’s dashboard while displaying typical teenage absurdities, starts to lose control of her car. Moments later, you could hear screams of fear and terror as the car begins to veer off the road and crashes through a barbed wired fence near Henry Miller Road and Highway 165 close to Los Banos. Investigators are currently looking into the graphic video that was apparently filmed by Sanchez prior, during, and after the crash incident that occurred on Friday, July 21. The video was originally posted on Instagram and is now circulating on other social media platforms. Family members confirmed to Fresno station KFSN the video was shot by the 18-year-old. “I don’t know how to feel. My one daughter killed my other daughter,” the girl’s father said at their Stockton home Monday, KFSN reported. The California Highway Patrol stated that the girls were not wearing seat belts. By not wearing seat belts, this caused Jacqueline and another female passenger ejection from the car. Jacqueline Sanchez, 14, died as a result of the crash. The other passenger sustained major trauma to her right leg, according to KTXL. Obdulia Sanchez was not seriously injured from the crash. She was booked at Merced County jail on suspicion of DUI (drugs or alcohol) and gross vehicular manslaughter.